We have accumulated quite an experience during the last 30 years working with yachts as yacht master, yacht builder and yacht for sale or megayacht for sale broker and building with different construction materials. most of them were wooden either classic carvel planking or west system epoxy lamination. 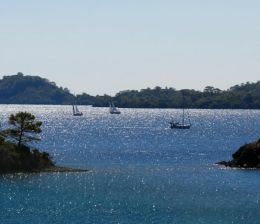 Many boat yards still use quality timber products namely mahogany, acajou, oak, chestnut and tropical hardwoods such as Teak to lay decks in luxury traditional Turkish yacht for sale or gulet building. Traditional Turkish Gulets has a well deserved reputation for their stability, spaciousness, seaworthiness and strong building technics and we have sold many Traditional turkish gulet to Greece. Italy, Croatia, France, Spain, Dubai, UAE, Thailand etc. Since they are strong, spacious and cheap and they can sail anywhere in the world with their long keels and economic cruising as well as sailing capabilities for up to 35 degrees windward. 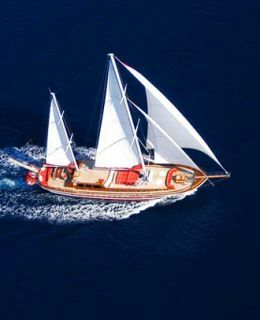 Turkish gulets righteously considered to be number one in modern and luxury yachts for sale and building with timber, not to forget their economic price and capacity to perform as charter yachts are superior to any other type of yachts for sale.. Recently Turkish boatyards have commenced to build steel hull Traditional turkish gulets which are considered to be even more efficient and far more economic and maintanence free than wooden hull gulets, steel hull gulets with hydraulic sail riggings and state of the art technology navigational devices makes them a strong rival to modern motor sailors yachts for sale. Considering utmost safety, comfort and spacious interiors are trademarks of Traditional for the upcoming decades. Second hand or preowned yacht for sale are the most convenient alternatives to couples who choose to live aboard and for the retired ones who prefer to enjoy the best of everything with peace of mind and pleasure. 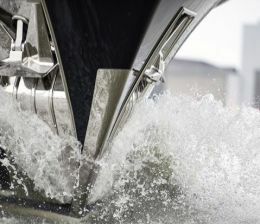 Contemporary Motor yacht are built with very advanced technologies which are resistant to sea water and far more stronger yachts for sale than ordinary wood planking system.